Contact lenses are no longer just meant to improve a person’s vision. A good quality of lenses can make your personality more vibrant and pleasing in front of others. These will bring before you a world of beautiful colours and brighten your spirits. Bausch and Lomb has come up with a new collection of lenses to make sure that you can sport a fresh and new look with them. They will boost your confidence and will make you the center of attention and envy. Come and see the world in a clear beautiful way with these high quality lenses from Bausch and Lomb. Toric lenses come with a combined surface of sphere and cylinder, and are best suited for vision correction of people suffering from astigmatism. If you are suffering from astigmatism in one eye then you can wear toric lens on that eye and ordinary spherical lens on the other. As these lenses are not spherically symmetric they are thickly built and are usually heavier at the bottom. 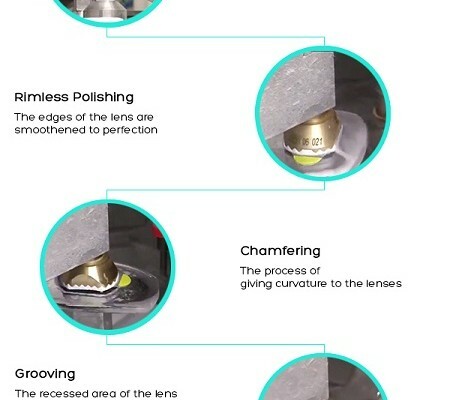 Brands like Bausch and Lomb, Copper Vision, Acuvue and Aryan have come up with high quality of toric lenses to make sure that your vision improves within a short period of time. If you are looking for coloured disposable lenses for your convenience to wear them only for a single day then you can opt for Bausch and Lomb Softlens Daily Disposable lenses which come with an aspheric design known as High Definition Optics to reduce spherical abnormalities over a wide range of lens powers. This will ensure that you get exceptional vision for the whole day especially when the light is low. Apart from the design, it comes with the new Comfort Moist technology unique combination of slow-releasing packaging solution and thin lens design making sure that you feel most comfortable while wearing the lens throughout the day. These lenses have been designed with aspheric anterior surface which helps to improve the contrast of retinal image. It creates a smooth transition between the mid-peripheral and peripheral zones because of the reduced mass lens design which makes the interaction between the lens and the lid better during blinking. The ‘hilafilcon B’ lens material minimizes protein intake to make sure that you get a comfortable wearing experience over a long period of time. What’s also special about this storage solution is that it keeps the lenses in a moisture cushion and works well with tears also. These type of lenses are usually meant for people who suffer from Presbyopia. For people suffering from presbyopia, Bausch and Lomb has come up with the Bausch and Lomb Softlens Multi-Focal lenses. These lenses have been designed with the unique Natra-Sight optics design which ensures broad transition for near, intermediate and far vision. What makes these lenses special is that it provides you with a crystal clear vision at all distances. These are easy to handle and use. Those who are wearing lenses with current mono-visions can opt for these lenses as they have better binocularity. 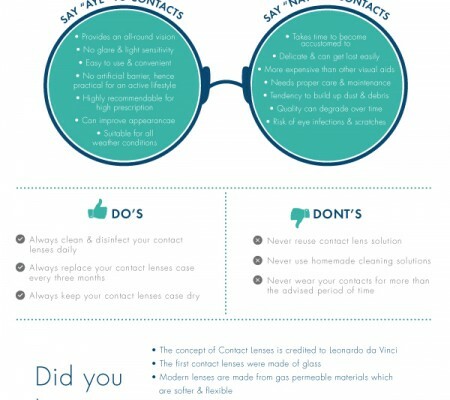 Daily disposable lenses are considered the safest and healthiest of all types of contact lenses because using a fresh pair of lenses on a daily basis prevents the chance of harmful pathogens appearing on the len’s surface. If you are looking for a pair contact lenses then you can try Soflens lenses from Bosch and Lomb. These lenses are designed to give you ease and comfort. These soft and thin lenses have been designed to rest on one’s eyes where the lens stays moisture throughout the day. Softlens also ensures that you get a rich contrast and vivid colour and removes the appearance and glare. If you want to use replaceable lenses then you can opt for monthly disposable lenses. Bausch and Lomb iConnect is the ideal for you in this case. The brand will give you a cool look. These lenses are affordable and comfortable to wear. The brand provides you with optimal comfort and are easy to handle. If you are looking for a worth-buying lens then this lens is the best for you. For people who are looking for a pair of lenses which they can use on a daily basis, yearly disposable lenses are the best option. You can buy Bausch and Lomb Daily Wear Conventional Lens. The 59 contact lenses in this pack will deliver you with the perfect clarity in vision and comfortable wearing experience throughout the day. These lenses have been designed from protein resistant material Hilafilcon B polymer which makes it a perfect blend of visual clearance, excellent performance and comfort. It comes with an advanced Unifit technology which makes it perfect for daily use. Its insertion and removal system makes it easy to use. It comes at an affordable price which makes it a great option. Here are some tips which you can follow to use a contact lenses with satisfaction over a long span of time. Make sure that you wash your hands properly so that dirt and germs stick on your hands don’t enter your eye. It is better not to use moisturizing soaps as they are not good for contact lenses. Remove one of the lenses and clean it with a prescribed solution. Cleaning will remove the dirt and cosmetics that hinders your comfort. After this you should rinse the lens again to remove the loosened dirt. Place the lens in a clean lens case or lens holder and fill it with a fresh solution. Disinfecting will actually kill the germs sticking to the lens. You need to check the package for details. 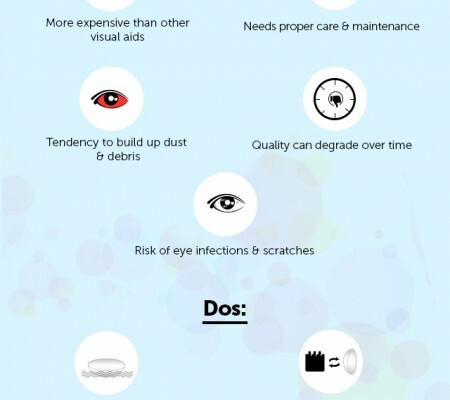 Use contact lens eye drops to clean your eyes. Using the same kind of lenses may cause allergies. All that you have to do to ensure maximum eye protection and switch to those products which have been marked preservation free. So, buy from LensKart.com and feel the difference. ← Can Eyeglasses Deteriorate your Vision?